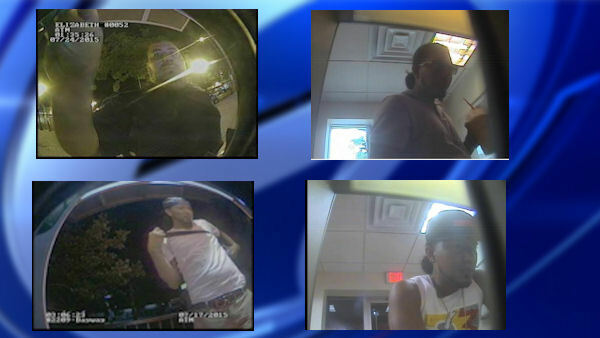 LINDEN, N.J. (WABC) -- Linden Police are looking for four suspects they believe used stolen checks and a stolen ATM card to withdraw money from ATM machines in the area. Bank of America ATM security video shows the suspects using the stolen checks and card in at machines in Linden and Elizabeth, police said. The transactions reportedly took place in late July. Authorities believe the suspects may be part of a larger ring of thieves. An investigation of mail theft at a local business found various checks and ATM cards went missing from the mail and later turned up in fraudulent transactions, police said.